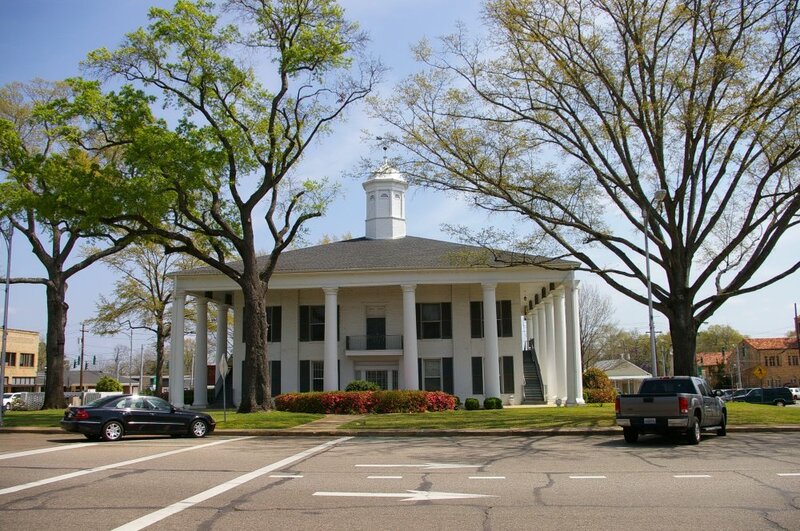 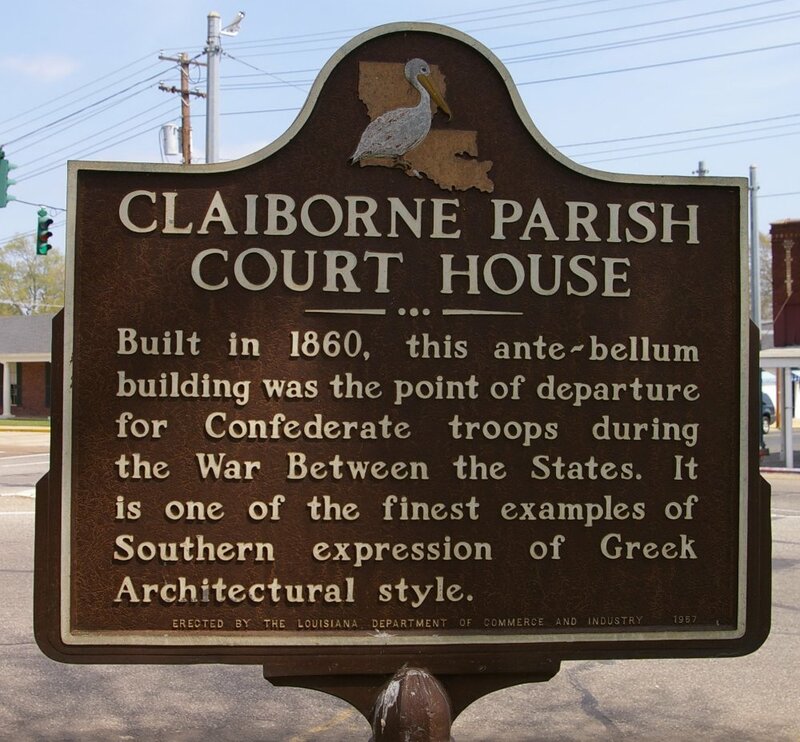 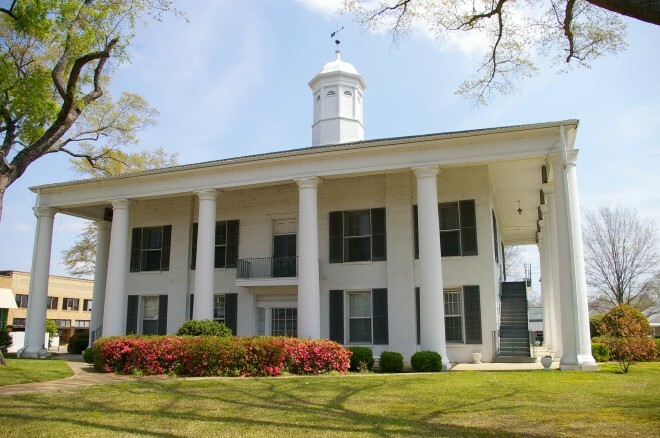 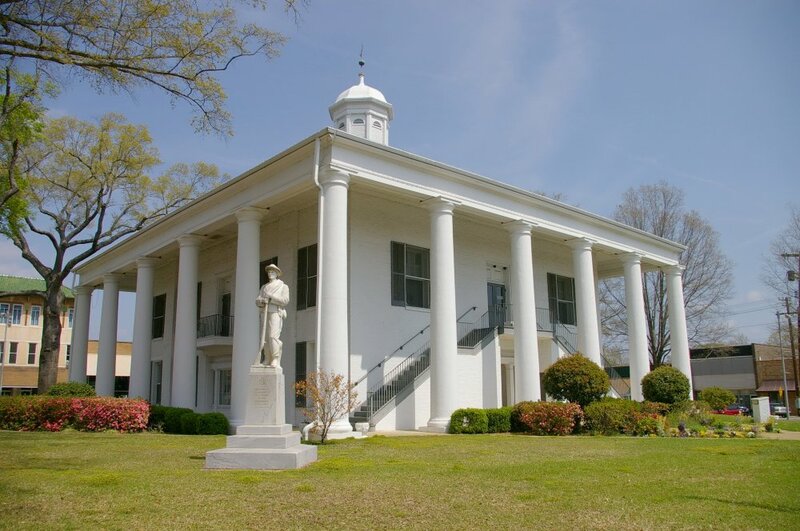 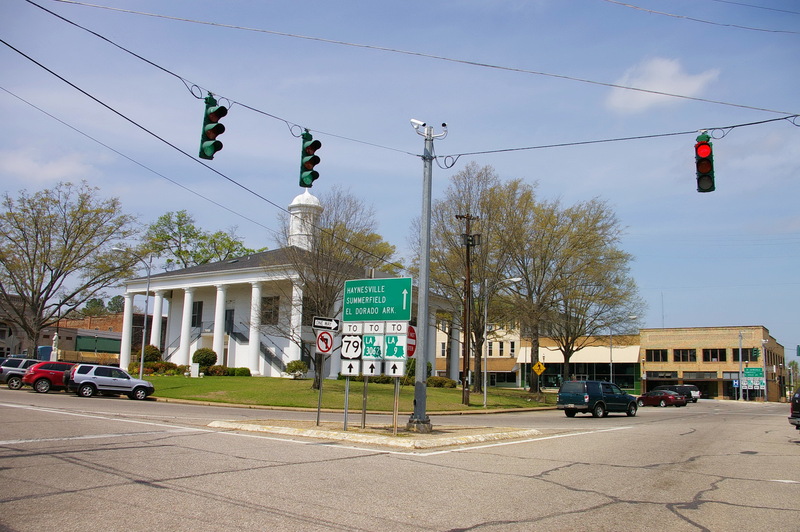 Claiborne Parish is named for William C C Claiborne, who was the first governor of Louisiana from 1812 to 1816. Description: The building faces east and is a two story white colored brick structure. Each side has six high white columns supporting the overhanging roof. 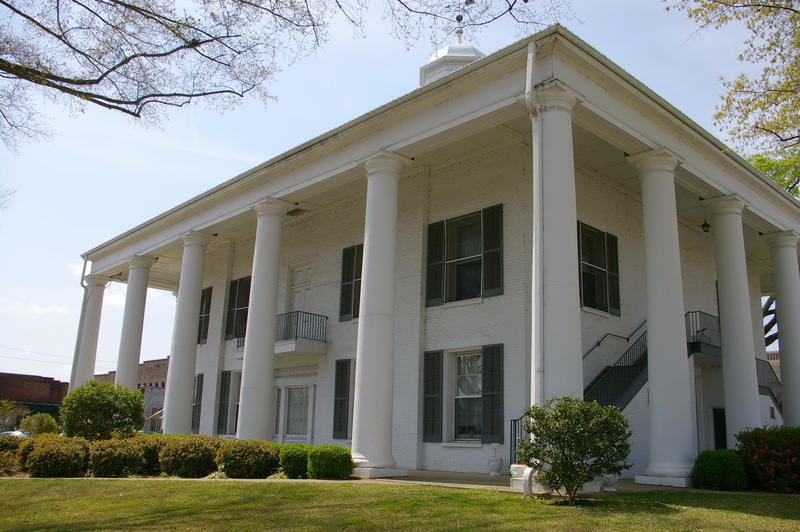 Each entrance has a small balcony above on the second story. 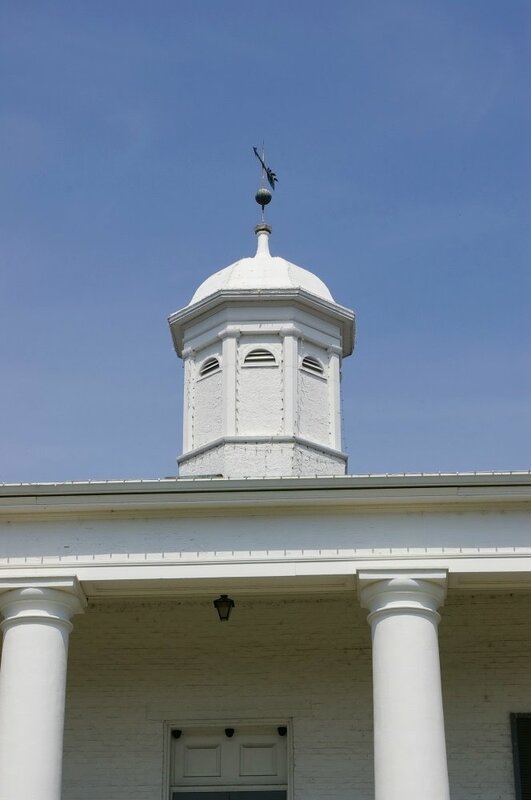 On the center of the roof is a high white colored octagonal cupola with white colored dome and weather vane. 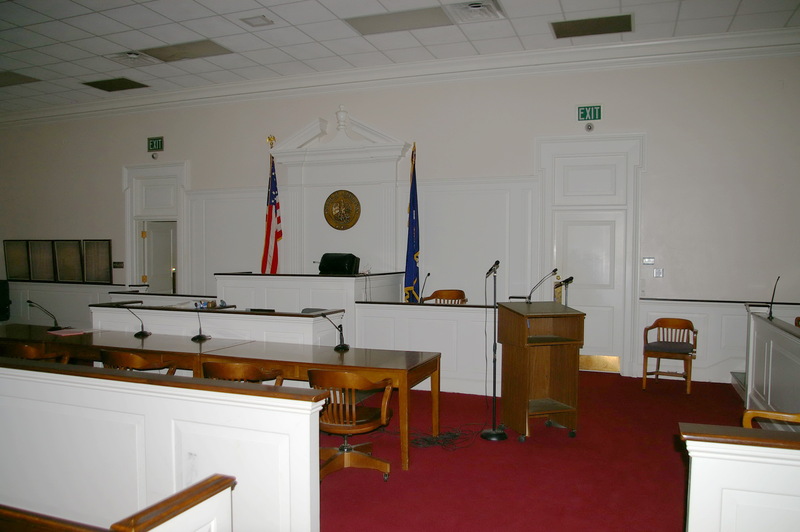 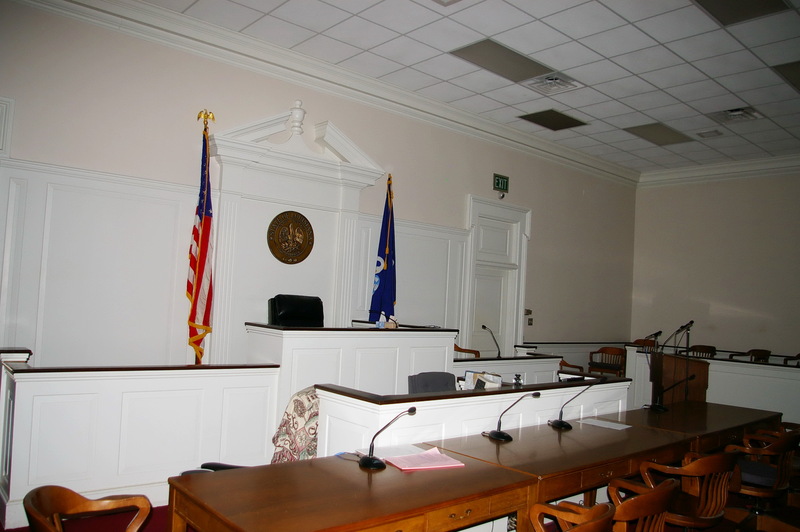 Note: Other old courthouses are located in East Feliciana Parish, Lafourche Parish and Saint Martin Parish.